Many people love to do night photography but get disappointed with their photo results. There are few basic things you must keep in mind before going for Night Photography with your DSLR. The problem is not with the camera but the setting on which you take your snaps. Before we have a look at the photos there are a few settings and important things I need to let you know. Do you hear the click sound when you take your photograph well that's the sound of your shutter. During night photography it is essential that you keep your Cameras shutter speed slow i.e. at least more than 1 second sometimes up to 30 or even more. The slower the shutter speed the more time the camera will get to paint the picture. Just imagine you winking your eyes for a split second and try to keep them open for few minutes in dark, you will surely agree that your eyes will see a subject more better if you keep your eyes open for a while. Aperture is like cornea in your eyes just imagine you see a subject in dark. The cornea of your eyes will be wide open and when you are viewing a subject in broad day light your cornea will shrink to minimum. The purpose is to allow only as much light which will allow you to see the picture clearly. You will not be able to see the subject properly if you try the reverse. Apply the same principle in photography for great results at night. 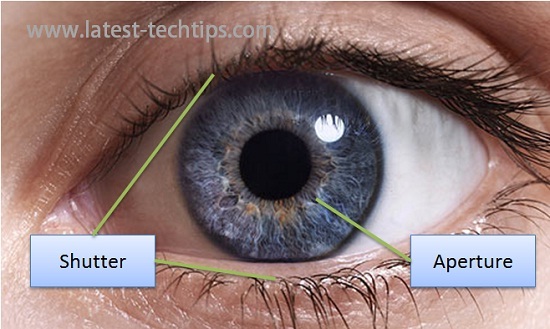 ISO is similar to your eye sensitivity. Imagine going to a dark theater from very bright mall outside. At first you will not see anything inside the theater after few seconds you will see some things and after more time your eyes will adjust to low light and you will start seeing things more clearly. Similar thing is there in Camera more the value of ISO the more the camera will be sensitive to light. During night photography it is recommended that you keep shutter open for more time and keep ISO at 100 i.e. minimum. Allow the camera to adjust to low lite naturally. If you keep shutter speed very high then you have to boost your ISO. But it may result in very grainy pictures. Camera Stand is extremely important as human hands cannot hold things still including relationships :D. So its very important that you carry a camera stand which will hold your camera still for long time. If not keep it in a place where you are not holding it. If you don't use the camera stand your photos will appear blurry due to camera shakes. So here are some of the night shots I captured with the Nikon D3100 camera I use. The above picture you can see trail of vehicle head lights. It happens due to slow shutter speed. People just love this effect including me.